Ready for snuggles and snoozes after a busy day! 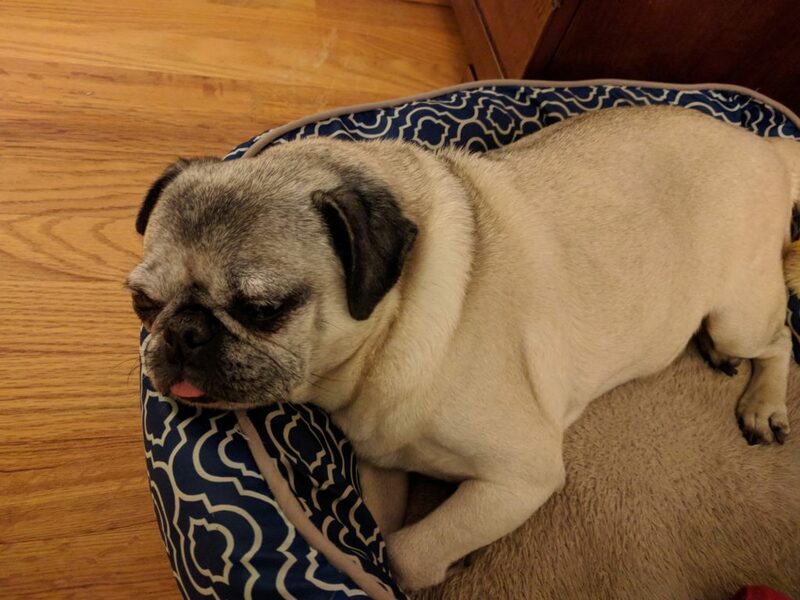 At the end of every day, Nickie the pug seems downright exhausted. Being this cute is definitely not easy, and she works hard at it 24/7. Here she is settling in for a nap after dinner and a busy day of licking stuff around the house, cuddling with her toys, snoozing, and snoring.